He wants to listen to the sound of us talking, singing, and pouring out our hearts to Him. Doesn’t this make you want to talk and sing to Him more? 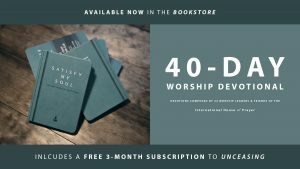 Excerpted from Satisfy My Soul—A 40-Day Worship Devotional. And His voice thundered like mighty ocean waves. or the crash of loud thunder. Have you ever felt like your voice didn’t matter? As if no one was going to listen, no matter what you said, and you couldn’t change anything anyway by speaking up? We live in a time where there is such a deluge of sound hitting the airways. There are so many platforms for opinions and individual expression that adding to the cacophony can feel pointless at times. I have felt this as a musician and songwriter. Should I get my songs out when the music industry is already flooded with so many new songs and talent? I believe the debilitating feeling that no one is listening is a universal one that living in our generation has exacerbated. In the book of Revelation, Jesus’ resurrected voice is described as the sound of mighty ocean waves (Revelation 1:15). The sound of many waters fills the full sound spectrum and hits the human ear (and beyond). Rushing water has all the high, mid, and low sound waves that make up the sound spectrum. This simple acoustic data is deeply symbolic to me. The voice of Jesus is full, powerful, and complete, lacking nothing. His sound can reach every creature in all of heaven and earth. Our bodies still reverberate with the energy of His sound that spoke us into being. With so much power at His disposal, it is a wonder that He can “bend His ear” to listen to an individual. “This poor man cried out, and the Lord heard him” (Psalm 34:6). What?! God will listen to the voice of one individual out of billions of people! Scripture tells us that He not only hears but also wants to listen to His beloved people. 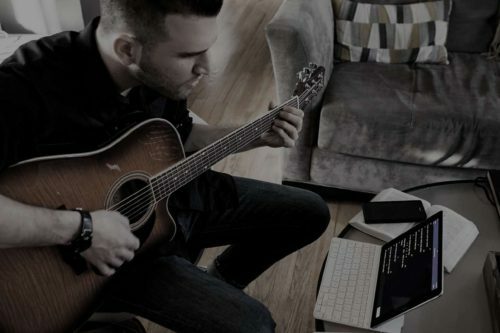 One of the most life-impacting verses for me is Song of Solomon 2:14, where the beloved God says, “Let me hear your voice; for your voice is sweet [to me].” He wants to listen to the sound of us talking, singing, and pouring out our hearts to Him. Doesn’t this make you want to talk and sing to Him more? The most important Person in the whole world not only listens to you but also cares to hear your thoughts and perspective. This is profoundly encouraging as an individual, but let’s take it even a step further. Revelation 19 tells us that the Church will be like a bride who is prepared and ready to be joined to her bridegroom, Jesus. In a verse that can easily be passed over, the voice of the collective Church is described as the “roar of mighty ocean waves” (Revelation 19:6). That’s the exact same description of Jesus’ voice in Revelation 1. The worldwide bride will be voicing a sound that matches the power and fullness of the Lord’s voice. We will be made perfect and complete, lacking nothing together. This means our individual voices matter to Jesus personally, and also our unique sound added to the collective voice of the Church matters to Him! Talk about a heavenly encouragement to sing together during a worship service. We are one body, one church, and one bride. When the fullness of the voices from every nation, tribe, and tongue begins to sound, then we will know that it is time to be joined to our Bridegroom Jesus. Lord, thank you for listening and valuing the sound of my voice. Help me not to be silent but to talk with You every day. Describe a time you felt silenced or that your voice didn’t matter. How did you respond, and how could you have responded differently? Laura Hackett Park discovered meeting the Lord in music from the tender age of two, and she went on to study music theory in college. Her motivation for music and songwriting comes from a desire to draw people back to God. Laura’s songs and vocals have been featured on numerous Forerunner Music compilations and Onething Live albums. Laura has recorded two full-length albums, Laura Hackett (2009) and Love Will Have Its Day (2014), which was produced by legendary multi-Grammy-Award-winner Brown Bannister. She serves today as a worship leader and prolific songwriter at the International House of Prayer. Laura is married to fellow worship leader and Forerunner Music artist Jonas Park; the couple have one daughter, Mae. 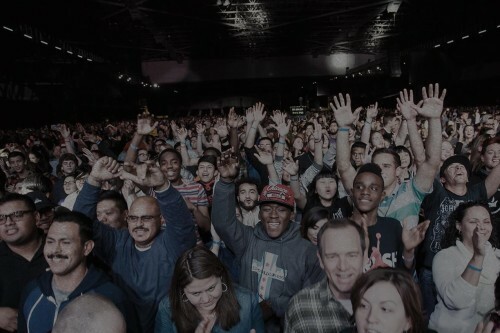 As the Lord orchestrates worship and prayer in the earth, we see varying age groups responding with music and a missional focus. 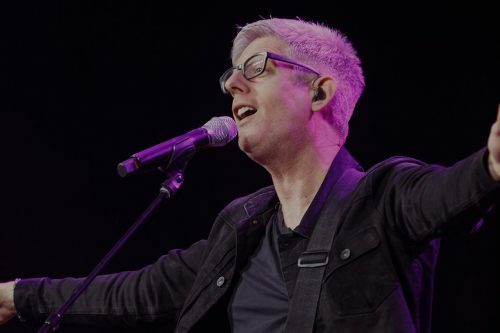 Grammy-nominated singer/songwriter, Matt Maher took a minute to sit down with IHOPKC to talk worship, songwriting, and God's nature. Prophetic singers face trials, fear, and everyday challenges, but it's the power of God's truth to sustain us that we must often call to mind.